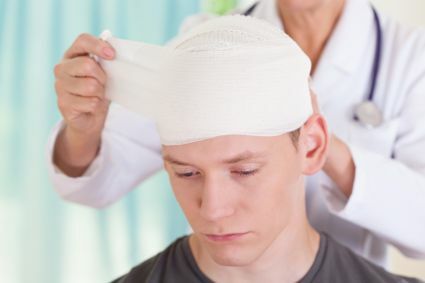 Would you know how to treat concussion in the event of a head injury? 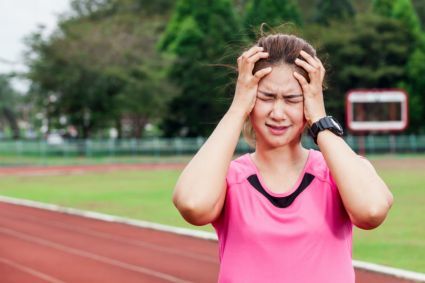 Recent research has shown that concussion can be more serious than previously thought—especially for individuals who suffer it multiple times. In recent years thousands of professional football players and retired players have brought lawsuits against the NFL for health problems caused by repeated head trauma. Several high-profile players have been driven to suicide by the degenerative effects of chronic traumatic encephalopathy (CTE), a debilitating disease caused by repeated or severe head trauma. All of these occurrences have put concussions in the news lately, and the message is clear: concussions can be very serious injuries, with long-term health effects. Here’s an overview of what to do in the event of a concussion—and how to recognize one. The brain is a soft and vulnerable organ. Normally it is protected by the hard, bony skull and the bones of the face. However, when the head suffers a violent hit, the brain can be knocked around inside the skull, sometimes causing bleeding or swelling in the worst cases. You might not be aware right away if you or a patient has had a concussion. Many of the symptoms don’t occur until some time after the injury, and the effects may last for several weeks. However, there are a few signs to look for immediately after a head trauma that can let you know if a concussion is likely. Here’s a list of the most common symptoms. Some of these may develop immediately, while others may become apparent over a period of days or weeks. A is for alert. Hold up a finger and move it from left to right in front of the patient’s face. Does the patient follow your finger with their eyes? Does she seem aware of things going on around her? V is for voice. Does the victim hear and answer questions? Do you need to yell to get a response? Does she seem to understand what you are saying? Concussion patients may respond to spoken commands without being fully alert. P is for pain. Does the victim respond to pain or discomfort? Pinch the patient’s skin; does she open her eyes or respond physically? Don’t pinch hard enough to cause damage. U is for unresponsive. Does the victim fail to respond to voice, touch, or visual stimuli? In some cases, patients and observers aren’t aware that a concussion has happened until they are examined by a doctor. However, if you have witnessed or experienced head trauma, it is a good idea to assume a concussion has occurred. Immobilize the head while you wait for medical help. It is always a good idea to assume a spinal injury until proven otherwise when head trauma has occurred; if the person’s spine has been injured, even the lightest jostling could render her dead or injured. Immobilize the person’s head by holding it with both hands in the position you found her in, and do not move her unless it is absolutely necessary for her safety. Apply ice to reduce the swelling. Press an ice pack to the area of injury for approximately 20-30 minutes every two to four hours. Wrap the ice in plastic or cloth; do not press it directly onto the skin. If you don’t have ice, use something else cold such as a package of frozen vegetables. Don’t press hard, as this could push fragments of bone into the brain. Take over-the-counter pain meds. Headaches are a very common result of concussions. Tylenol is fine; avoid Aspirin or Ibuprofen, as these can increase bleeding. First, check the scene to make sure it is safe. If the person is not conscious, check their airway, breathing, and circulation (ABC). Do not tilt their chin upward. If the person is not breathing, perform CPR while ensuring their head stays immobile. (Check here for tips on getting certified). Do not move the person unless it is absolutely necessary for their safety. Stabilize or have someone else stabilize the person’s head by holding it immobile in the position it was found in until medical help arrives. In the first 24 hours after a concussion, the victim should not be left alone. Stay with the victim to keep tabs on their cognitive and physical state. Let them sleep, but wake them up once every 15 minutes for the first two hours, then once every 30 minutes for the next two hours; then once an hour. Each time you wake the victim, perform the AVPU consciousness test. The aim is to judge whether the victim’s condition has taken a sudden turn for the worse, as sometimes happens with concussions. In the days after a concussion, the victim should rest and avoid physically or mentally strenuous activity. People who have a concussion one time seem more susceptible to it a second time, especially if the second injury happens before the first one has completely healed; because of this, it is essential to avoid activities that might result in a second concussion too soon after the first one. Physical activity should be eased back into gradually, under the observation of a doctor. Not all concussions are extremely serious or merit a trip to the emergency room. The symptoms of concussion usually get better within a few weeks at most. However, the possible complications can be serious, especially if the patient has suffered multiple head injuries. Keep an eye out for the symptoms, and hopefully the effects of concussion can be minimized.